In Episode 28 of the CounterVortex podcast, Bill Weinberg advances a progressive and anti-Zionist critique of Rep Ilhan Omar's controversial comments, which have posed the problem of US support for Israel in terms of "allegiance to a foreign country" -- the nationalist and xenophobic language of our enemies. As a Somali-American woman in a hijab, Omar is ultimately legitimizing reactionary forces that threaten her with the use of such nationalist rhetoric. As the massacres of Christchurch and Pittsburgh all too clearly demonstrate, Islamophobia and anti-Semitism are fundamentally unified concerns -- and the way Jews and Muslims have been pitted against each other by the propaganda system is part of the pathology. Contrary to the canard of "dual loyalty," Weinberg declares himself a "zero-loyalist," repudiating both Zionism and America-first nationalism, calling for an anti-Zionism based on solidarity with the Palestinians, not "allegiance" to the imperial state. Listen on SoundCloud, and support our podcast via Patreon. Production by Chris Rywalt We are asking listeners to donate just $1 per episode via Patreon. A total of $30 per episode would cover our costs for engineering and producing. We are currently up to $20. 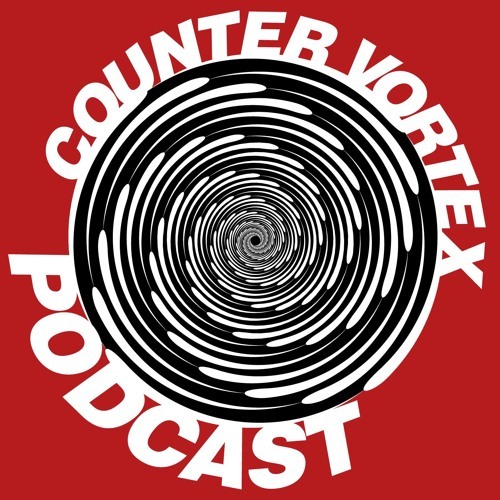 https://www.patreon.com/countervortex New episodes will be produced every two weeks. We need your support.